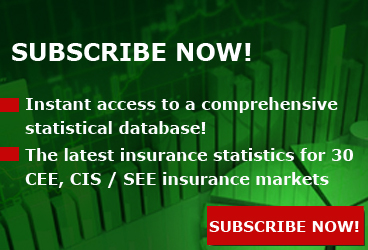 THE SLOVAK insurance sector saw no dramatic changes last year, while stabilisation in the eurozone was reflected in developments in Slovakia, too, which mirrored those in other countries in the region. Expectations with respect to positive developments in macro-economic indicators are optimistic. In addition, the insurance sector is preparing for Solvency II and the payment of the first pensions from the so-called second, private, old-age insurance pillar. NEW technologies are impacting the insurance industry and several companies in Slovakia now sell insurance policies via the internet or mobiles - along with reporting an increased interest from clients in these channels. THE NATIONAL criminal agency has uncovered a group of seven people who filed fraudulent claims worth EUR 775,000 with an insurance company over fictitious car accidents. THE ARBITRATION proceedings initiated by Dutch company Achmea, the owner of the health insurer Union, against the Slovak government, which plans to merge the three existing health insurers and introduce a unitary state system of health insurance, ended with a victory for Slovakia. 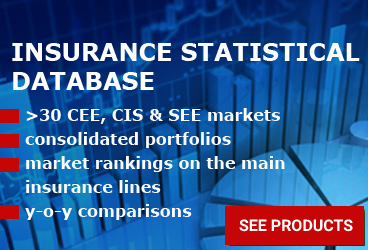 2013 was year stability for the Slovak insurance market, with no major changes. The market continued to increase its business volume at a slow pace, recording a 2.7% growth in GWP, to EUR 2.17 billion. However, looking at its two main segments, it is obvious that life insurance performed better, ending the year with a 5.9% growth in premiums, while on the non-life sector almost all the main business lines recorded a slightly negative trend. The excellent development of Vienna Insurance Group in Slovakia continues. The Group expanded its market share to 34.5 per cent, sharply increasing its edge over competitors, according to Vienna Insurance Group. Slovakia's government on Wednesday suspended its plan to create a single state-owned health insurer and potentially nationalize the EU member's two private insurers, informs digitaljournal.com. According to an official release, the idea on creating a single state-owned health insurer will be put on hold until the finance ministry will be able to cover the operation's costs. At all events, the 2014 deadline can not be met. In the first nine months of 2013, the Slovak insurance market increased by 2.2% y-o-y to EUR 1.56 billion, according to the financial figures published by the National Bank of Slovakia (NBS). 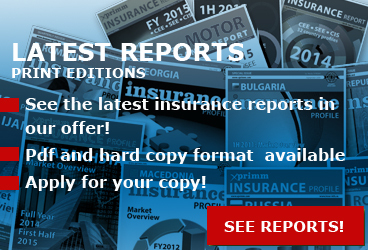 The value of claims paid by insurers increased by 5.5% y-o-y, to EUR 910 million. 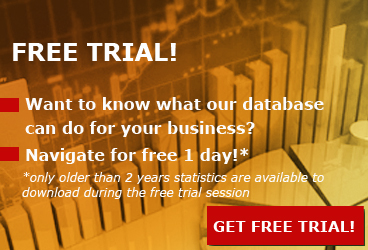 Vienna Insurance Group (VIG) said its Slovak business recorded a pre-tax profit of EUR 42.8mn for the first nine months of 2013, up 8.6% y/y. Gross written premiums of VIG's Slovak subsidiaries totalled EUR 548.3mn through September, up 6.6% y/y, with life insurance premiums jumping 11.4% to EUR 297.3mn and non-life insurance premiums rising by 1.4% y/y to EUR 251mn. "Steady" is apparently the word that best describes the Slovakian insurance market's evolution in the first half of 2013. With an overall GWP of EUR 1.06 billion, 1.3% up y-o-y, the market seems to produce no surprises. Still, at a closer look, there are few things worth being noted. Slovakia is a step closer to paying reimbursement to the Dutch company Achmea that owns the health insurance company Union. Last December, the arbitration court decided that the state has to pay EUR 22 million in reimbursement and court fees of EUR 3 million to Achmea, for the profit ban approved during the first tenure of Prime Minister Robert Fico. The French financial group AXA is winding down its banking business in Slovakia to focus on different financial services. In late May AXA and UniCredit Bank Slovakia signed a cooperation agreement, based on which AXA Group will focus exclusively on insurance, pension savings and mutual fund investing, while UniCredit Bank will take up the banking portfolio.